Spike Lee directed, wrote, and starred in his masterpiece “Do the Right Thing” in 1989, but nearly 30 years later, he’s crafted another strong film in “BlacKkKlansman” that is nearly as thought-provoking and poignant as the former film and perhaps even funnier. 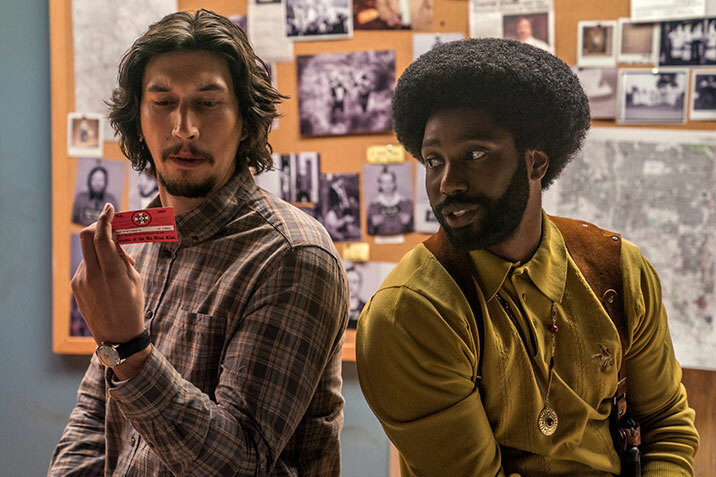 If not for the fact that “BlacKkKlansman” is based on a true story, aspects of the film could almost pass for a Mel Brooks satire piece. The plot of the first black cop hired in Colorado Springs infiltrating the Ku Klux Klan by phone is absolutely something Brooks would have had fun making a film about in his hey days of the 1970s, but every time I reminded myself the film is basically a true story, my stomach turned. The Meg (PG-13) 1 hr. 53 min. BlacKkKlansman (R) 2 hr. 15 min. Slender Man (PG-13) 1 hr. 33 min. Dog Days (PG) 1 hr. 53 min. The film depicts vile people saying, planning, and doing heinous acts under the cover of faith and nationalism. 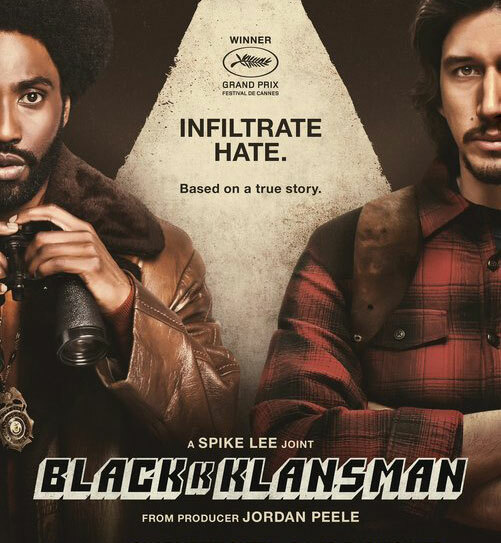 While the people are ignorant and hateful, they aren’t exactly stupid just because they are duped by the lead character Detective Ron Stallworth (John David Washington) and his partner Detective Flip Zimmerman, a composite character (Adam Driver). One of the hateful Klansmen Felix (Jasper Paakkonen) suspects Zimmerman as a undercover cop from their first meeting. Stallworth, a black man, basically joins the Colorado Springs branch of the KKK by phone, and his partner Zimmerman, a Jewish man who doesn’t follow the faith or think much about his heritage, acts as Stallworth’s proxy at the local KKK meetings. Undercover Stallworth actually strikes up a phone friendship with Klan Grand Wizard David Duke (Topher Grace), who eventually travels to Colorado Springs to attend Zimmerman’s initiation into the “organization,” as the members like to call their club. Stallworth’s first assignment is to attend a speaking engagement of Civil Rights organizer (Corey Hawkins) Kwame True where he meets Patrice Dumas (Laura Harrier), president of Colorado College Black Student Union. There is an instant attraction, and their relationship progresses, although Patrice is unaware at first that Stallworth is an undercover cop. The film deftly shows racism and prejudice from a number of angles. It’s interesting that the Klansmen and the black activists in the film both refer to the police as “Pigs” and that Stallworth and Zimmerman both have feelings of letting their people down while working undercover — Zimmerman while masquerading as a Klansman and Stallworth for at first not admitting he is a police detective in his relationship with Patrice. Perhaps the film’s most poignant section is when it depicts an old man (Harry Belafonte) giving his recollections of seeing his friend lynched by a Texas mob to members of the Black Student Union crosscut with scenes of Klansmen cheering while watching some of the more deplorably racist scenes from D.W. Griffith’s film “Birth of a Nation.” It’s a chilling and damning piece of filmmaking that ranks with the best of Lee’s work. Washington, who is the son of Denzel Washington, is a star in the making, handling the comedy and drama equally well. Driver continues to impress with his strong character work as Zimmerman. Harrier is an actress I’m unfamiliar with, but she was compelling as Patrice. Grace plays Duke for comedy, and he is funny, but in a scene involving a polaroid photo, the menace is there. (R) 2 hr. 15 min.